A couple of weeks ago, we celebrated my daughter Charley’s 4th birthday. It’s crazy how fast time flies. I can’t believe my last little girl is already 4! To celebrate her birthday, we invited a lot of kids. For this reason, we held her party at a play place. There was no way, I was going to host 27 children in my house! Although Charley’s party was at a play center, and I didn’t have to decorate, I still ended up purchasing some My Little Pony themed items for the goody bags, along with napkins, plates, and a few balloons. I wasn’t going to craft and hand make party supplies that’s just not my thing. However, a good friend of mine is a party stylist, and one of her gifts to Charley from the goodness of her heart was a GIANT balloon, with a tassel garland, in My Little Pony colors. In addition, she also supplied Charley and her friends with 30 handmade party favor/ noise makers. These added touches to the party, handmade with love, from Fun Fiestas By Ili, were simply gorgeous. The parents were super impressed when they found out my friend handmade the garland, and the noise makers. The amount of thought, imagination and care that goes into her party supplies, is simply amazing. The balloon was gigantic, and Charley was in awe when she saw it. 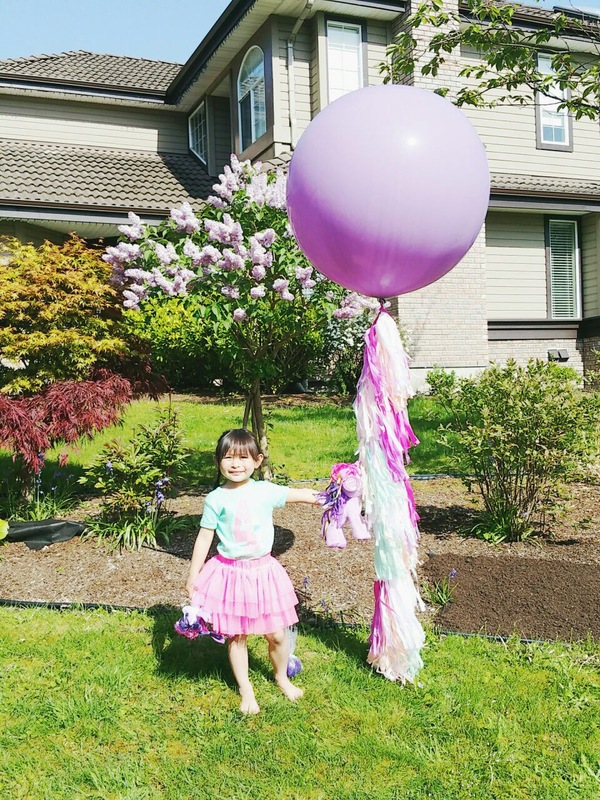 In fact, she loved it so much she kept petting the tassels saying, ” This balloon is rainbow dash’s tail!” And she was right, the colors did resemble a rainbow; a beautiful, pastel colored rainbow, fit for a 4-year-old girl. The balloon lasted a little over a week. 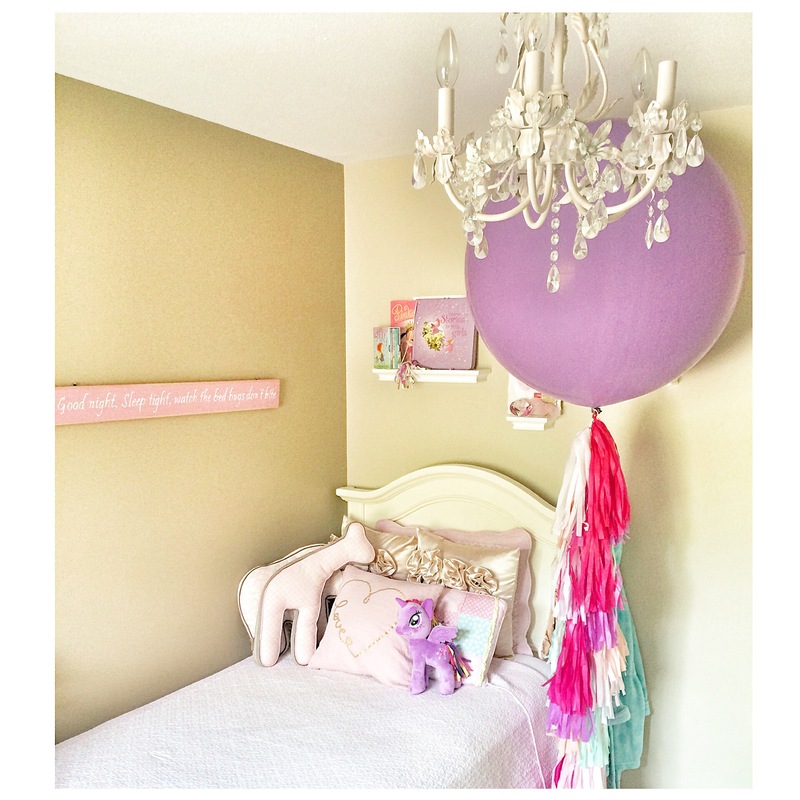 I loved peeking into Charley’s bedroom and seeing that giant balloon. I just wanted to treasure the moment in my mind forever. 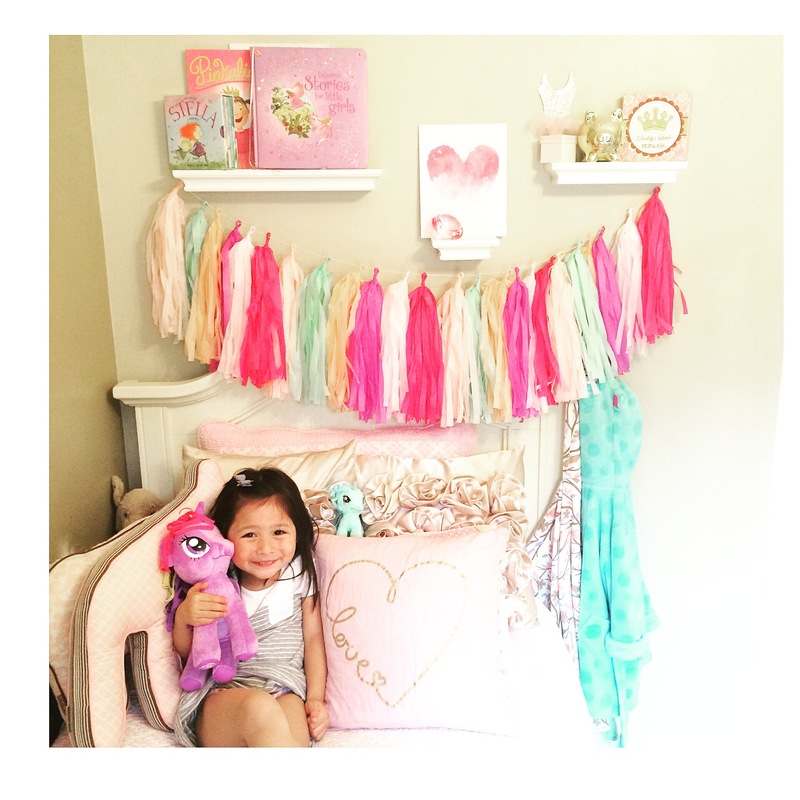 I know how fast the years go by, and soon enough, her 4- year-old room, with light pastel colors and pinks, will be a thing of the past. In the end, I couldn’t just throw away this garland my friend put so much work, effort, and creativity into. So, I placed it above Charley’s bed, underneath her shelves, and voila: a party in her room every day! And the party can continue for you too! FunfiestasbyIli is offering a promo code to my readers, so you can decorate a party, use a balloon for a photo shoot, etc. 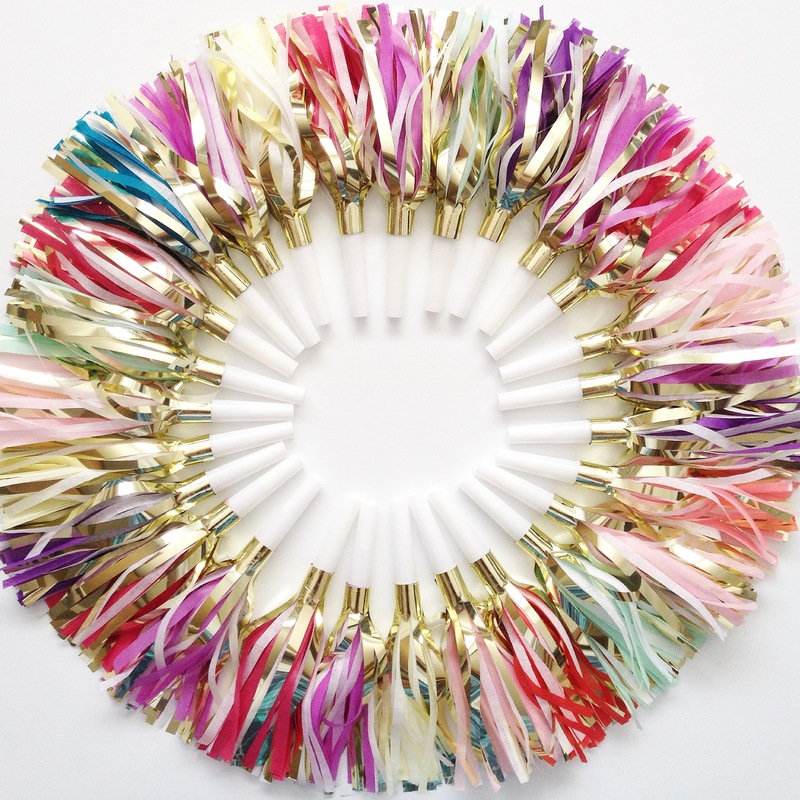 Use promo code: Charley4 on Fun Fiestas By Ilis Etsy shop at checkout for 20% off party favors, party garland tassels, balloons and more! Coupon code expires Sunday at midnight. Totally beautiful I love the pastel colors and all the decor! thanks for sharing.